The most beautiful, desirable home in Lugoff. 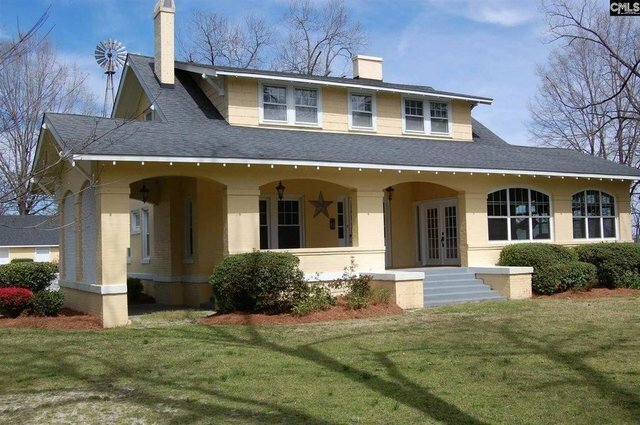 This 1921 built home with guest cottage sits on 5 +/- acres of well manicured landscaping. An assortment of beautiful plants and trees and a split rail fence give this property great curb appeal. All 5 acres have irrigation and a well. There are two 30 x 36 two car garages/workshops with bath, plus a 30x 36 carport and a 30 x 68 storage shed for all kinds of equipment. Horses OK. 20 x 30 Kennel , Generator, security cameras, windmill [ not working], deck and front porch. Inside the home you will find wonderful formal living and dining rooms with high ceilings and heart pine floors and french doors. The bedrooms are huge with high ceilings and heart pine floors. The master has a huge private bath with wonderful spa shower, double vanity and tile floors. There are several multi purpose rooms that can be an office or other type rooms. The kitchen has granite countertops and tile floors with a breakfast nook. You can enjoy sitting on your front porch, the back deck or the nice sun room. So much to say about this great property. Call to see it today.